> Innsbruck Records is a global management, label, media and distribution company representing and collaborating with a broad array of local and international artists, labels and publishers. Our mission is to discover, develop, globally distribute, support and mentor; fostering collective goals and protecting all intellectual property rights. > After a decade touring as a bassist for world renowned artists, Maria earned a B.Sc., Psychology and then obtained a graduate biotech degree from Northeastern University in Boston and climbed the ranks to VP, Boston Life Sciences, Inc. Rounding out her corporate venture capital experience and expanding her entrepreneurial skills she co-founded ‘The House of O., Inc.’ – a custom furnishings / interior design company based in Boston. > Feeling a gravitational pull toward the entertainment industry, Maria pursued law school to capitalize on her business acumen and solidify her knowledge of Intellectual Property – specifically, Patent, Copyright and Trademark Law. After earning her Juris Doctorate at Suffolk University Law School in Boston, Maria relocated to New York City to reconnect with the entertainment world by establishing a music division at MHN Management as Managing Director. In 2007 she began collaborating with 2x Grammy nominated, Genie (Oscar) winner and multi-platinum award winning Producer | Mix Engineer and nominated Songwriter, Roman Klun. They decided to merge their respective formidable networks to form a label. 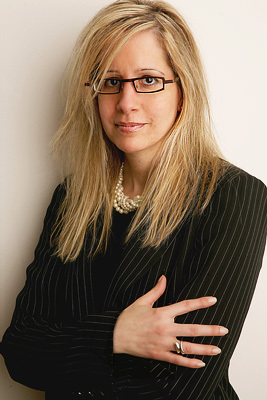 Maria also consults for Fortune 500 companies such as KPMG Advisory and MetLife. Maria brings legal IP knowledge, solid corporate expertise and musical insight to complete the Innsbruck Records structure. > Film, TV and Multi-Media credits of note: The Nut Job, Daniels Daughter, The Care Bears, One Track Heart, Sea Monsters, Survivor and various ABC-TV, CBS-TV, Hallmark, Nelvana, IMAX, Sonic Reality, Novalogic, Blizzard Ent., and 5.1 – LCR Surround Sound symphony film scores. > As one who never surrenders his devotion to the entertainment industry, Roman Klun has completed four full-length solo records with notable success and charting on British Columbia radio. As an experienced songwriter and musician, Roman has shared the live stage with Joey Eppard, 3 (Three), The Pete Levin Trio, The Joan Osborne band and has opened for the Legendary and 2X Grammy Award winner Levon Helm of “The Band” at the celebrated Midnight Ramble in Woodstock, NY. As a noted drummer, he has also performed on numerous studio recordings and live. 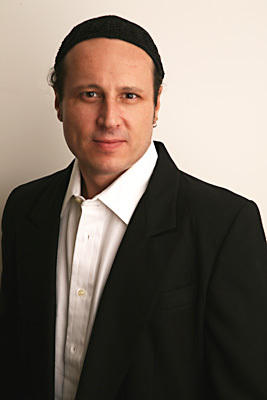 > Roman Klun is a member of The Recording Academy, past Executive Member of the AES (Audio Engineering Society) and is a member of the AFofM, ASCAP and SOCAN. Roman Klun brings forward thinking concepts, international business, marketing, record production, engineering, songwriting and networking insight to Innsbruck Records.